Wolf Commercial Real Estate, a Southern New Jersey commercial real estate broker that specializes in South Jersey commercial real estate listings and services, has been named exclusive leasing agent for a major portion of a portfolio of Southern New Jersey office and flex buildings acquired by Somerset Properties, including premier South Jersey industrial space, South Jersey flex space and South Jersey office space in Mount Laurel and Marlton. 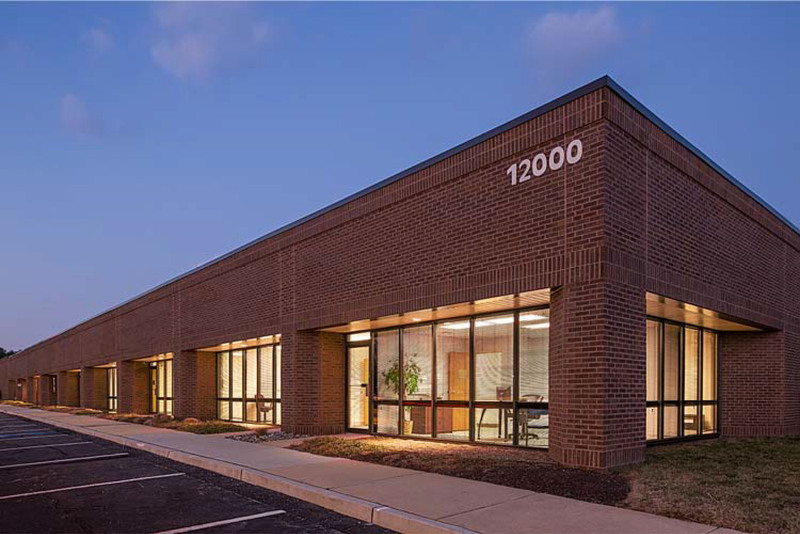 The appointment expands the relationship between the two companies that began last year with Wolf Commercial Real Estate’s exclusive representation of four other buildings owned by Somerset Properties. This new appointment gives Wolf Commercial Real Estate leasing responsibilities for an additional 13 Southern New Jersey office and flex buildings totaling 584,028 square feet of Southern New Jersey industrial space, Southern New Jersey office space and Southern New Jersey flex space for lease. The new portfolio expands Somerset’s presence in the Southern New Jersey commercial real estate market to 1,500,000 square feet. Wolf Commercial Real Estate (WCRE), a Southern New Jersey commercial real estate brokerage firm that specializes in South Jersey commercial real estate listings and services, will represent nine South Jersey office and flex buildings for lease in the Greentree North Corporate Center in Mount Laurel, while the remaining four buildings are in the Marlton Crossing Office Park in Marlton. “The WCRE team has developed a unique and very effective marketing platform, and we are excited to expand our strategic partnership” said Jennifer Wierman, director of leasing at Somerset Properties, a full-service real estate company that focuses on development, investment and property management. Somerset Properties owns and manages 5.2 million square feet of office, industrial and flex space in four U.S. regions. The single-story Southern New Jersey office and flex space for lease in the Greentree North Corporate Center in Mount Laurel is located on Commerce Parkway. This South Jersey industrial space, South Jersey office space and South Jersey flex space for lease offers vacancies ranging from 2,000 square feet to 34,000 square feet. This well-located Southern New Jersey office and flex space for lease has convenient direct access to the Route 73 corridor, as well as nearby access to I-295, the New Jersey Turnpike and Route 70. The Greentree North Corporate Center provides an on-site daycare center for corporate tenants. Many restaurants, retail stores, banks and hotels are located close to this South Jersey industrial space for lease, including the Greentree Square Shopping Center, East Gate Square and the Moorestown Mall. More than 46,000 vehicles per day drive through the Route 73 and Lincoln Drive intersection at the entrance to this Southern New Jersey flex space for lease. Parking is plentiful at these South Jersey office and flex buildings for lease at a ratio of 4.5/1,000 sf. Nearly 70,000 people live within three miles of this Southern New Jersey office and flex space for lease through Wolf Commercial Real Estate, a Southern New Jersey commercial real estate broker that specializes in South Jersey commercial real estate listings and services. The four Southern New Jersey office buildings in the Marlton Crossing Office Park are located on Lippincott Drive, just off Route 73. This excellent location provides easy access to I-295, the New Jersey Turnpike and Route 70. This single-story South Jersey office space has vacancies ranging from 3,979 square feet to 14,000 square feet. This Class A South Jersey office space features a walking/jogging path. There is a plethora of restaurants in the vicinity of this South Jersey office space for lease, including PF Changs, Pietros and The Redstone American Grill. There also are many nearby shopping centers, including The Promenade at Sagemore and the Marlton Crossing Shopping Center. More than 52,000 vehicles per day drive through the intersection of Route 73 and Brick Road at the entrance to this South Jersey office space for lease. Parking at these South Jersey office buildings for lease is abundant at a ratio of 3.60/1,000 sf at 400 Lippincott Drive and a ratio of 4.50/1,000 sf at 406 Lippincott Drive. Close to 68,000 people live within three miles of this South Jersey office space for lease through Wolf Commercial Real Estate, a Southern New Jersey commercial real estate brokerage firm that specializes in South Jersey commercial real estate listings and services. — 400 Lippincott Drive: 7,000 to 7,440 square feet of South Jersey office space for lease. This Southern New Jersey office space for lease was awarded an Energy Star level in 2012 for operating efficiency. These South Jersey office and flex buildings for lease are available for immediate occupancy through Wolf Commercial Real Estate, a Southern New Jersey commercial real estate broker that specializes in South Jersey commercial real estate listings and services. For the asking lease price of the South Jersey industrial space, South Jersey flex space and South Jersey office space in these South Jersey office and flex buildings for lease or for any other information about these or any other South Jersey commercial properties for lease or sale, please contact Jason Wolf (856-857-6301; jason.wolf@wolfcre.com), Leor Hemo (856-857-6302; leor.hemo@wolfcre.com) or Christina Del Duca (856-857-6304; christina.delduca@wolfcre.com) at Wolf Commercial Real Estate, a Southern New Jersey commercial real estate brokerage firm.